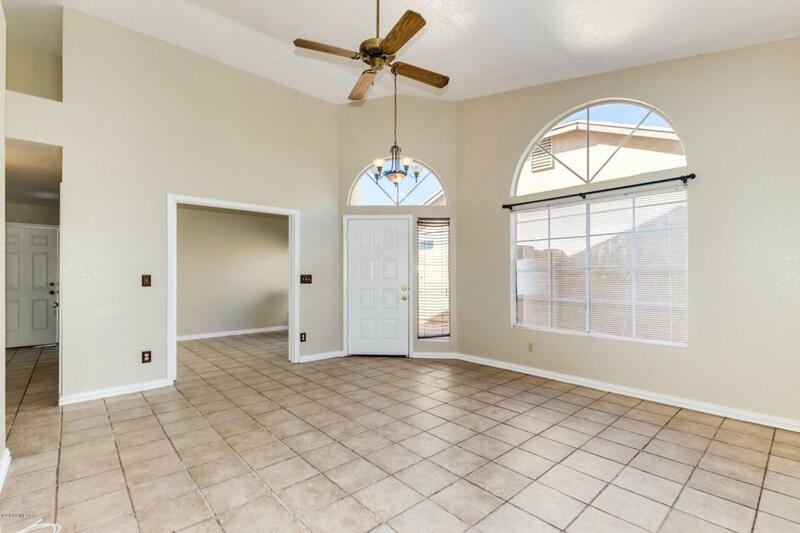 Charming single story, 3 bedroom home available in tranquil southwest Tucson community. Great location, just off of the I-19 and a stones throw from lovely parks, shopping and dining. 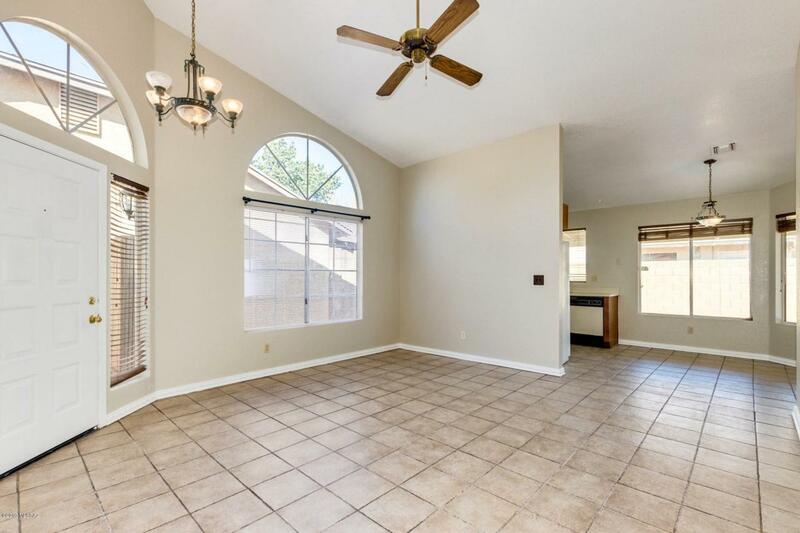 Inside, you will love the spacious, open layout with soaring vaulted ceilings, gleaming tile flooring, a neutral color scheme and ample natural lighting throughout. 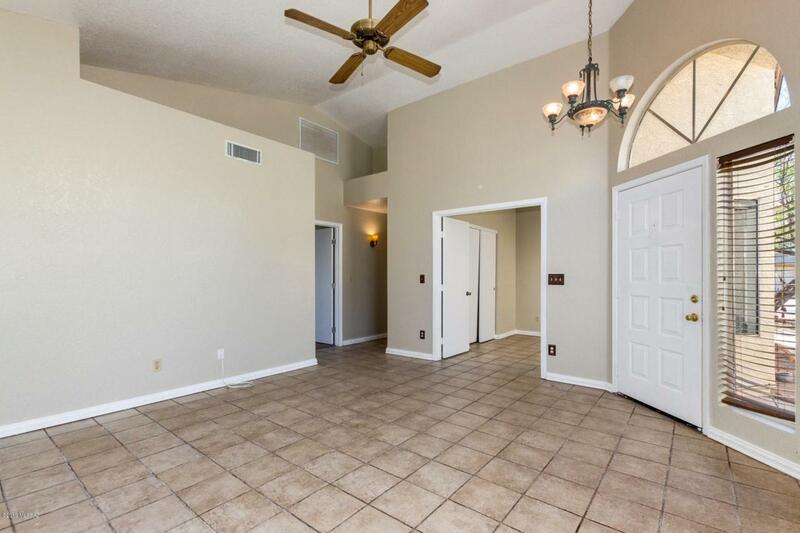 Master suite includes a full bathroom with double sinks and sliding glass doors leading to the backyard covered patio which extends the entire length of the home. 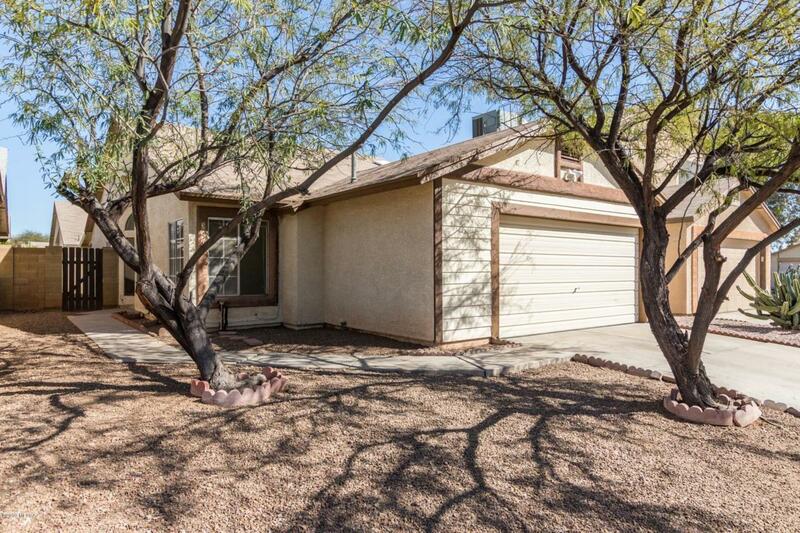 Enclosed backyard offers privacy and plenty of room for pets or a garden. AC is newer within the last 2 years, new water heater, newer roof within the last 5 years. This gem is available at an amazing value and will sell fast.